Dr. Christopher Gordon is the Program Director for the Family Medicine Residency Training Program and Chief Medical Officer at Family Health Centers of San Diego. He received his medical degree from the College of Medicine at Texas A&M in 2001. While attending medical school at Texas A&M, he served as Vice President of the medical student class and was also a volunteer at the Outreach Clinic. After graduation, Dr. Gordon completed two years of training in psychiatry at UCI-Medical Center. He then completed a residency program in family medicine at the Riverside County Regional Medical Center. While at Riverside County Regional Medical Center, he was awarded the Intern of the Year Award and Resident Teacher of the Year Award in 2009. He also served as Chief Resident. He is a member of the American Academy of Family Practitioners, California Academy of Family Practitioners, the San Diego County Medical Association and the Society of Teachers for Family Medicine. Dr. Gordon enjoys playing soccer, running and speaking German. His interests include sports medicine, HIV medicine and palliative care. He is board certified in family medicine and has been part of Family Health Centers of San Diego since 2009. Dr. Bahghi Keflezighi is the Assistant Medical Director for Adult Medicine at Family Health Centers of San Diego. Dr. Keflezighi received her medical degree from the University of California, Los Angeles in 2005. She completed her family medicine residency at Scripps Mercy Chula Vista in June of 2008. Dr. Keflezighi has traveled internationally providing medical care to patients in Ghana, Mexico, Fiji, Peru, and Eritrea during her residency training. Dr. Keflezighi served as the preceptor for our first APP Immersion Program class, is board certified in family medicine and is a member of the American Academy of Family Physicians. Dr. Keflezighi speaks proficient Spanish and Tigrinya. She has been a part of Family Health Centers of San Diego since 2008. Dr. Christian Ramers serves as the Assistant Medical Director for Research & Special Populations and Director of Graduate Medical Education at Family Health Centers of San Diego. He earned his medical degree from the University of California, San Diego in 2003 and completed his internship and residency at Duke University Medical Center in internal medicine/pediatrics. He completed a fellowship in adult infectious diseases and received a graduate degree in public health at the University of Washington. Dr. Ramers leads several clinical and educational programs supporting HIV and Hepatitis C treatment within our clinics, consults for the California Office of AIDS, the CDC and Project ECHO on HIV and HCV-related clinical care initiatives and is a co-investigator on several NIH-sponsored research projects in collaboration with University of California, San Diego and San Diego State University investigators. Dr. Ramers maintains a busy bilingual clinical practice providing specialty and primary care to underserved and homeless individuals of all ages. Dr. Alan Zieg is the Chief of Obstetrics and Gynecology at Family Health Centers of San Diego. Dr. Zieg received his medical degree from the University of Michigan in 1990. He completed his internship and residency at the University of Minnesota, specializing in obstetrics and gynecology. Dr. Zieg is a Diplomate of the American Board of Obstetrics and Gynecology. He has served as Vice Chairman and Chairman at two of our partner hospitals, Scripps Mercy Hospital and Sharp Grossmont Hospital. Dr. Zieg has been part of FHCSD since 1994. Dr. Sandra Cervantes is the Assistant Medical Director of Obstetrics and Gynecology at Family Health Centers of San Diego. Dr. Cervantes received her medical degree from the University of Texas Health Sciences Center at Houston in 2007. She attended Texas Tech University Health Sciences Center at El Paso, where she completed her residency in obstetrics and gynecology at the University Medical Center. She is a member of the American College of Obstetricians and Gynecologists. Dr. Cervantes is a board-certified OBGYN and has been part of FHCSD since 2011. 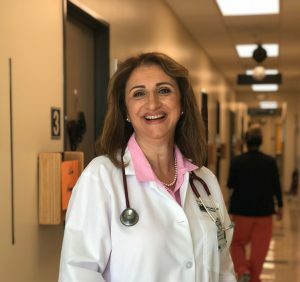 Dr. Khawla Suleiman joined Family Health Centers of San Diego in 1998. She serves as the Chief of Pediatrics and Medical Director for Pediatric Development Services. Dr. Suleiman earned her medical degree from the University of Baghdad, Iraq in 1984. She completed a pediatric residency at the UCSF School of Medicine/UCSF Fresno-Central San Joaquin Valley Medical Education Program. She is board-certified in pediatrics and is a fellow with the American Academy of Pediatrics. Dr. Suleiman has great interest in community medicine, population management and child development. Dr. Suleiman enjoys caring for FHCSD’s diverse, multi-cultural families. She completed a community pediatric fellowship at the University of California, San Diego. During and after her fellowship, she worked closely with the African community to help educate medical providers on cultural practices. Through a program with UCSD School of Medicine, she worked with a number of San Diego Unified School District underachieving schools and, led a team to help children with special needs and chronic illness to reduce absenteeism and improve school performance. Dr. Suleiman earned a Master’s of Advanced Study degree in Leadership of Healthcare Organization. She is a UCSD Voluntary Clinical Professor of Pediatrics, has taught UCSD pediatric residents for over 20 years and is a member of the pediatric teaching faculty for FHCSD family medicine residents. She received FHCSD’s “Provider of Compassion” award, was nominated by San Diego Public Health Department for a “Public Health Champion” Award and by the Chair of the Child and Family Development Department at the College of Education, San Diego State University for the inaugural Simms/Mann “Whole Child” Award. Dr. Marsha Spitzer received her medical degree from George Washington University in 1996. She completed her pediatric residency at Children’s National Medical Center in Washington, DC and participated in the primary care track of her residency program. Following residency, she worked as a general pediatrician in Guam prior to joining Family Health Centers of San Diego in 2001. As Assistant Medical Director for Pediatrics at FHCSD, she works with the Chief of Pediatrics on personnel and peer review, represents FHCSD at Scripps Mercy and Sharp Grossmont to provide optimal care to FHCSD newborns and leads the pediatric obesity pilot Healthy Together at FHCSD. Additionally, Dr. Spitzer mentors UCSD pediatric residents as a continuity clinic preceptor and supervises the FHCSD family medicine residents during their adolescent medicine rotation. Dr. Spitzer is the Medical Director for Reach Out and Read San Diego and is on the Executive Board of the local chapter of the American Academy of Pediatrics. She is a Fellow of the American Academy of Pediatrics and holds a national position with the AAP representing California pediatricians. Dr. Spitzer is board certified in pediatrics and is a clinical voluntary associate professor at UCSD. Dr. Charles Smoot is the Assistant Medical Director for Clinical Quality at Family Health Centers of San Diego. He is responsible for directing the organization toward improving quality metrics across a wide variety of national standards using interdisciplinary methods. He works closely with the medical providers and the IT department to help develop a robust e-decision tool, as well as improve our proprietary electronic health records system. Dr. Smoot received his medical degree from the University of California, San Diego in 2005 and completed his family medicine residency at UCSD in 2008. Dr. Smoot is a recipient of the UCSD Outstanding Contributions to Medical School Community Award and the Roderick K. Calverley Humanitarian Service Award, and was a member of the Gold Humanitarian National Medical Honor Society. He has traveled to both Haiti and the Honduras to provide medical care to patients. Dr. Smoot is board-certified in family medicine and speaks proficient Spanish. He has been part of FHCSD since 2008. Jan Sebring is a Family Nurse Practitioner and the Clinical Applications Coordinator at Family Health Centers of San Diego. Ms. Sebring completed her undergraduate degree in nursing at Villanova University. She was awarded her masters’ of science degree in nursing from the Medical University of South Carolina as a cardiovascular clinical nurse specialist. She received her Family Nurse Practitioner certificate from the University of California San Diego School of Medicine. Ms. Sebring has worked in the acute care hospital setting, taught at the undergraduate and graduate nursing level and practiced in the outpatient clinic setting. She is board certified as a family nurse practitioner. She is also a member of Sigma Theta Tau and California Association for Nurse Practitioners. At present she divides her time between the clinic and working on the Clinical Quality team at FHCSD. She has been with FHCSD for over 8 years. Assistant Medical Director of Psychiatry at Family Health Centers of San Diego, Dr. Claudio Cabrejos received his medical degree in 1988 from the Universidad Nacional Mayor de San Marcos in Lima, Peru. After earning his master’s degree in public health from the University of Miami, Dr. Cabrejos joined the psychiatry residency program at the Tulane University School of Medicine. With the school’s medical anthropology department, he provided mental health services, including psychosocial assessments and treatment, to displaced communities in the Peruvian Andes. Upon completion of his residency at Tulane University, Dr. Cabrejos joined an advanced psychiatry residency program at Yale University, where he specialized in addiction psychiatry. He is board-certified by the American Board of Psychiatry and Neurology and the American Board of Addiction Psychiatry. In addition, he is an Assistant Clinical Professor of Psychiatry at the UCSD School of Medicine. Fluent in Spanish and Portuguese, Dr. Cabrejos has been part of FHCSD since 2002. Dr. Joe Sepulveda serves as an Assistant Medical Director overseeing the Psychiatric Nurse Practitioner Program at Family Health Centers of San Diego. He is also our physician champion in charge of overseeing the clinical planning, implementation and ongoing development of the Medication-Assisted Treatment (MAT) Program. Dr. Sepulveda received his Bachelor of Science in Physiological Science from UCLA and his medical degree from the David Geffen School of Medicine at UCLA. He then received training in clinical research at Brigham and Women’s Hospital prior to receiving his formal psychiatric training at Stanford University Hospital & Clinics. He is a Voluntary Assistant Clinical Professor at the University of California at San Diego (UCSD), Health Sciences, Department of Psychiatry and is board-certified by the American Board of Psychiatry and Neurology. Dr. Sepulveda is also a member of the American Psychiatric Association, the San Diego Psychiatric Society, the American Society of Addiction Medicine and the California Society of Addiction Medicine. In addition, Dr. Sepulveda sits on a California advisory board where he assists with how best to spread successful practices and lessons learned in addiction medicine more broadly into the primary care setting. Further, he is the consulting psychiatrist for the University of Washington AIMS Center – Archstone Foundation Community Collaborative Care Partnership Geriatric Grant. Dr. Sepulveda is fluent in Spanish and has been with FHCSD since 2013. Dr. Garrick Tong is the Assistant Medical Director of Child and Adolescent Psychiatry at Family Health Centers of San Diego. Dr. Tong received his medical degree from Albany Medical College in New York. He attended the University of California, San Diego, where he earned a degree in biochemistry. He completed his psychiatry residency at the University of California, Los Angeles. Afterward, he completed a fellowship in child psychiatry at Cedars-Sinai Medical Center in Los Angeles. He is board-certified in adult psychiatry by the American Board of Psychiatry and Neurology. Dr. Tong is fluent in Cantonese and Spanish, and has been part of FHCSD since 2011. 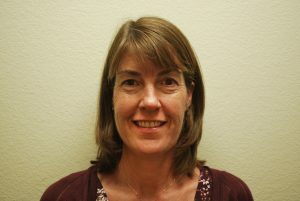 Cindy Mangene is the lead nurse practitioner at Family Health Centers of San Diego. She received her bachelor’s degree from the University of New Hampshire and Master of Science in Nursing degree from Vanderbilt University. She was a National Health Service Corps recipient and is a returned Peace Corps Volunteer, having served in Honduras as a rural healthcare worker for the Ministry of Public Health. She is a member of the California Association for Nurse practitioners and board certified as a family nurse practitioner. She is fluent in Spanish and has been part of FHCSD since 1998. Lori Lapina is the lead physician assistant at Family Health Centers of San Diego. Originally from Pittsburgh, Lori received two bachelor’s degrees in biology and physician assistant from Seton Hill University in 1997 and 2000. From 2004 to 2013, she served as a clinical preceptor for physician assistant students in three different PA programs. During this time, she also practiced primary care medicine in a correctional setting for four years and primary care in a psychiatric institute with emphasis in addiction for nine years. Lori lives in the beautiful North Park neighborhood with her dog Parker and enjoys trying new restaurants. She has been part of FHCSD since 2013.